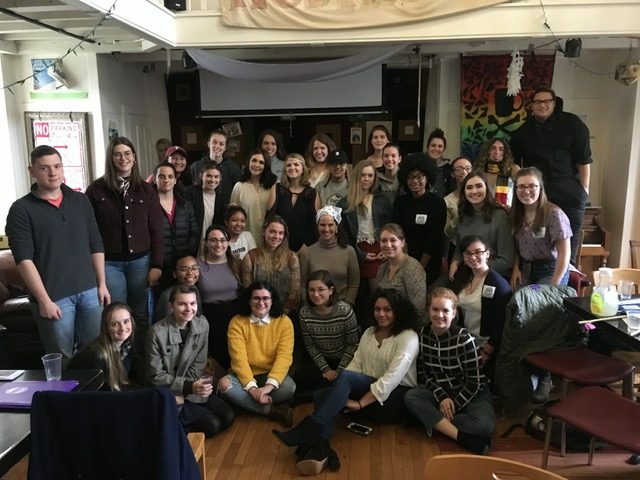 On November 7, 2017, Fordham students gathered for the second annual women’s liberation teach-in at Rodrigue’s Coffee House, on the Rose Hill campus. 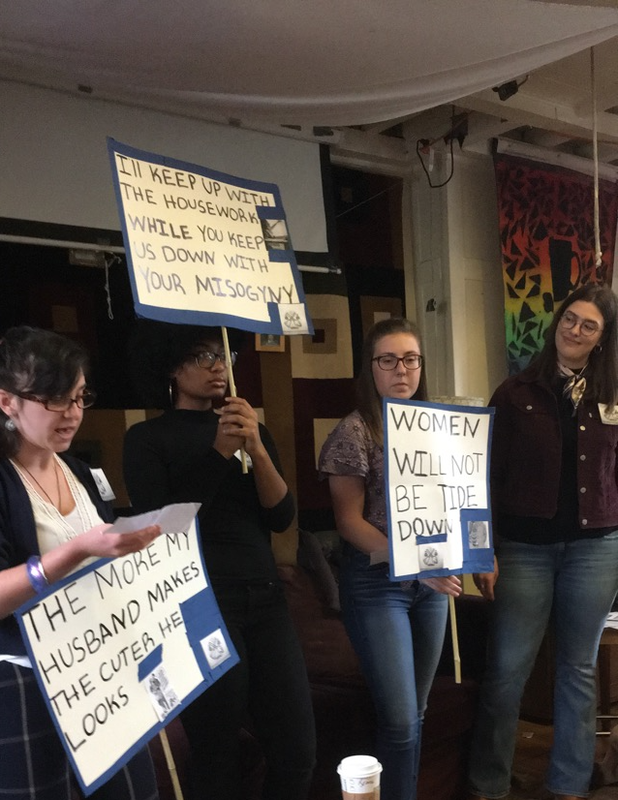 Part of Professor Kirsten Swinth’s Modern U.S. Women’s History, students in the teach-in emulated women’s liberation groups of the 1960s and 1970s. The teach-in is a valuable tool Dr. Swinth has used to move students from the pages of their textbooks into the lived experience of the subjects they study. Here’s what some of the students had to say about that experience. 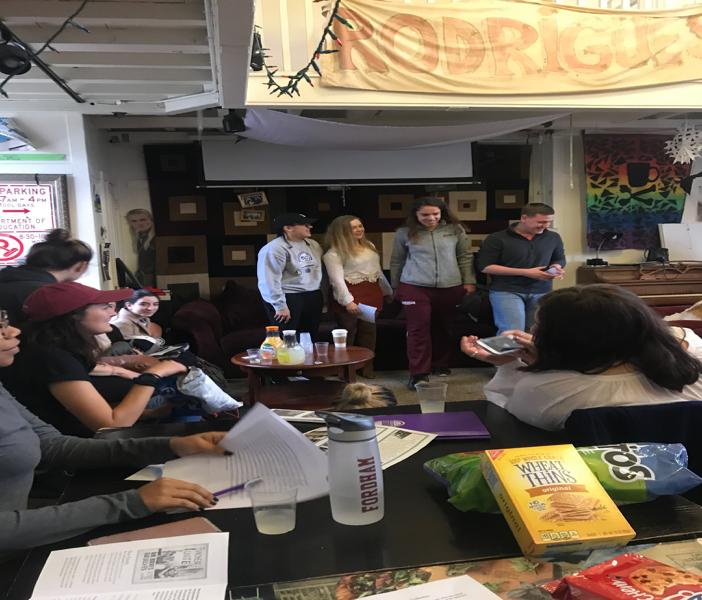 The women’s teach-in was a great way to for the class to come together and talk about various groups that were affiliated with the Women’s liberation movement. I enjoyed how it was an opportunity for all students to get interested in the various topics covered by the different groups. 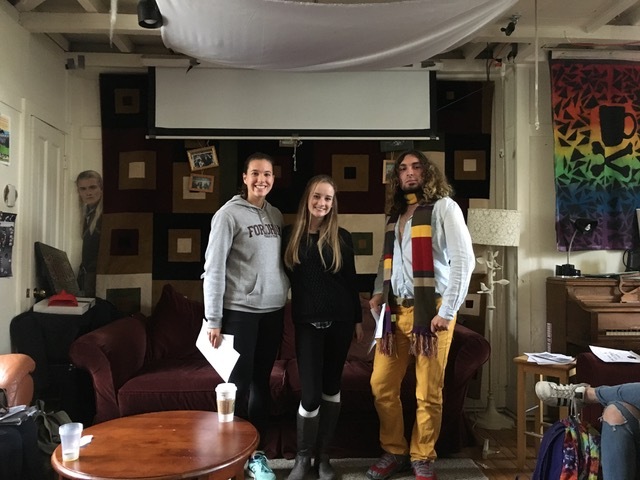 The imagery, content, and presentation style made a lasting impact that may or may not have occurred had the teach-in been a typical presentation day. Some groups took straightforward approaches to the issues, while others took the opportunity to be completely radical, both of which were engaging and refreshing to discuss. 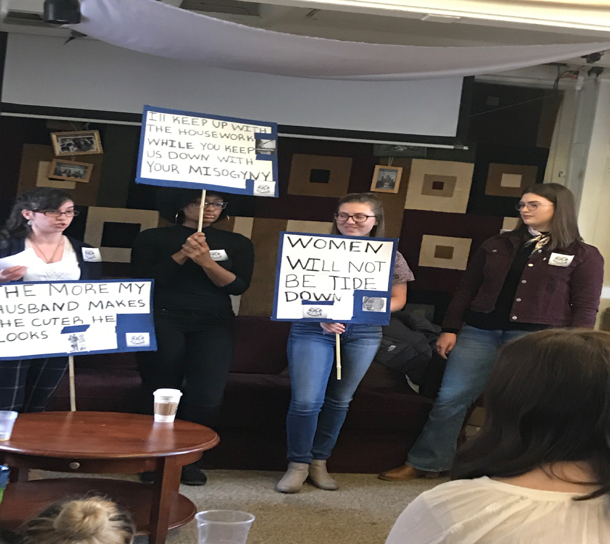 The teach-in was an intriguing opportunity to explore the challenges faced by women in the 1970s and the strides they took to combat them as well as an essential time of reflection on how relevant these problems still are for women are today. Each group truly embodied the passion of the women of the 1960s and 1970s, and illustrated that through clothing, posters and signs, modern manifestos, and the passion in their voices. Even though the groups were addressing issues of the past, the past echoed struggles women and girls still face today. One group that struck me in particular, was Women Against Sexual Violence (WASV). With all the sexual assault allegations coming out of Hollywood in the news presently, it reminded me that women and girls still face sexual assault and discrimination in the workplace, which is unacceptable and intolerable. Therefore, we must use these political platforms that the women of the 1960s and 1970s built for us to continue advocating for change for the women and girls of the future. Four women protest using picket fence signs in an attempt to debunk the myth that housework is a women’s job (see picture below). We saw a number of members of Dr. Swinth’s class take up similar positions this morning at Rods cafe on Fordham University’s campus. 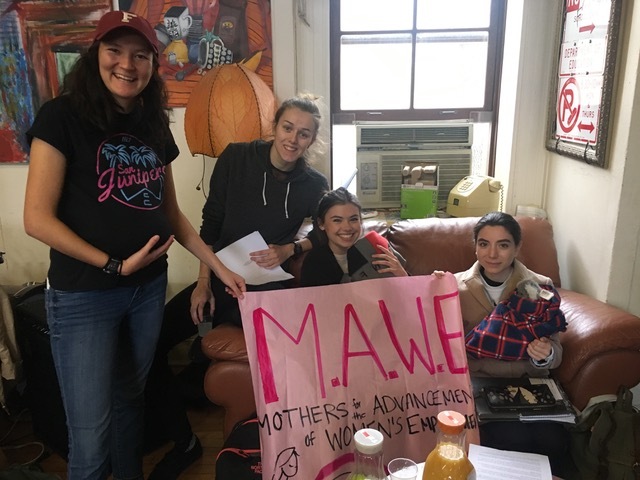 Many topics were discussed which aligned with the theme of the second annual women’s liberation teach in. This teach in covered topics such as work, sexuality, gender, and in general female oppression. Brave women and men alike took a stand to promote their causes and make a change on the local and federal level. This simulation was an adequate way to dive into the readings and adopt the personas of those women who fought these fights in the 70s. Ultimately this was a moving moment that sparked activism in all of her students. The group Women’s Organization for Housework Justice hold signs which reflect upon the injustice of housework.